University is happy to announce that the current running courses no. 3 and 4 of our unique study program will visit the FIDIC International Infrastructure Conference in Berlin on 9-11 September 2018. The visit will be framed by two modules of lectures for our students, before and after the conference. Pictures will follow! 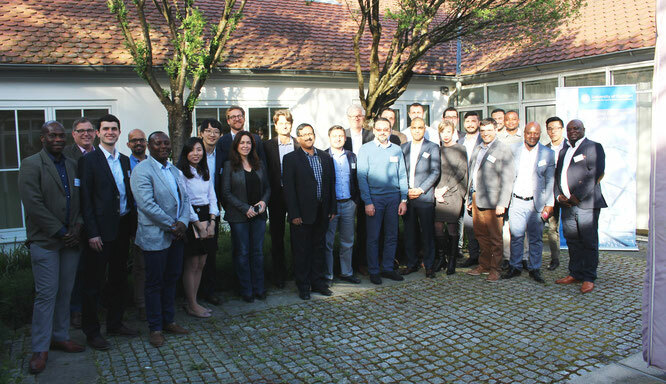 Our second course successfully finished its studies in April 2018! Congratulations to our graduates! Our new website went online on 20th June 2017! Our new course started on 11th May 2017! We warmly welcome our 23 new students to our program. Have fruitful und succesful studies. 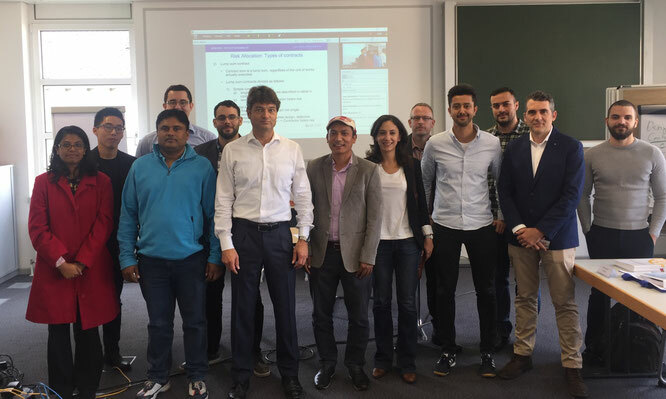 Lecturer Dr. Wolfgang Breyer (6th from left) during the first module with some of our new students.